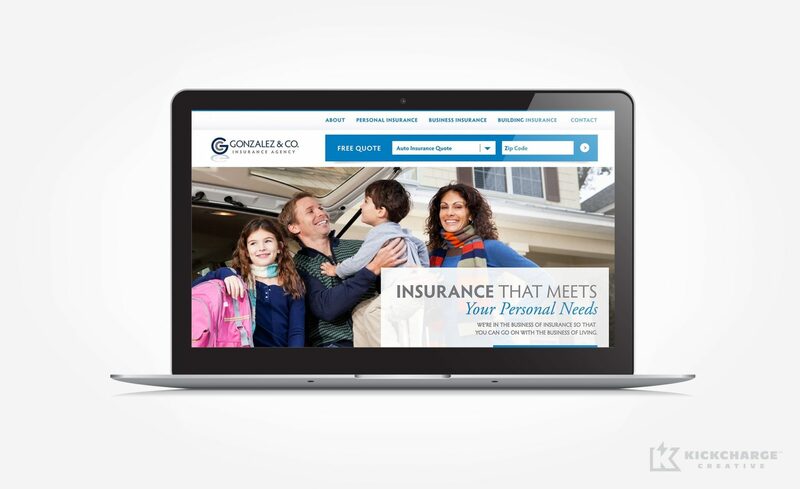 For Northern New Jersey-based Gonzalez & Co. Insurance Agency, the task was two-fold: create an updated, fresh image for a company that was born in the 1970s, and extend that brand in a uniform manner across all materials and outlets. 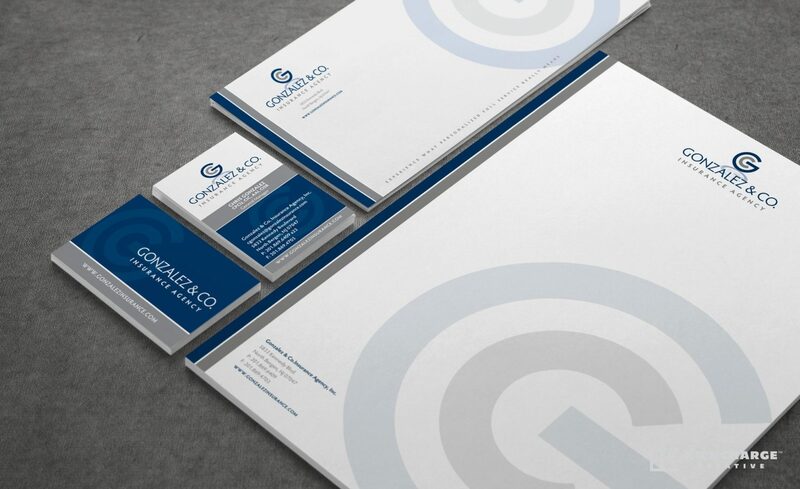 To create a homogenous image, we crafted a new logo, website, stationery, print ads and marketing brochures. Through the use of a navy and grey color palette, the new brand speaks to the company’s professionalism and its commitment to both personal and business insurance lines. A modern font and matching icon instills the fresh, updated image that the company sought, while high-quality printing reflects premium service. 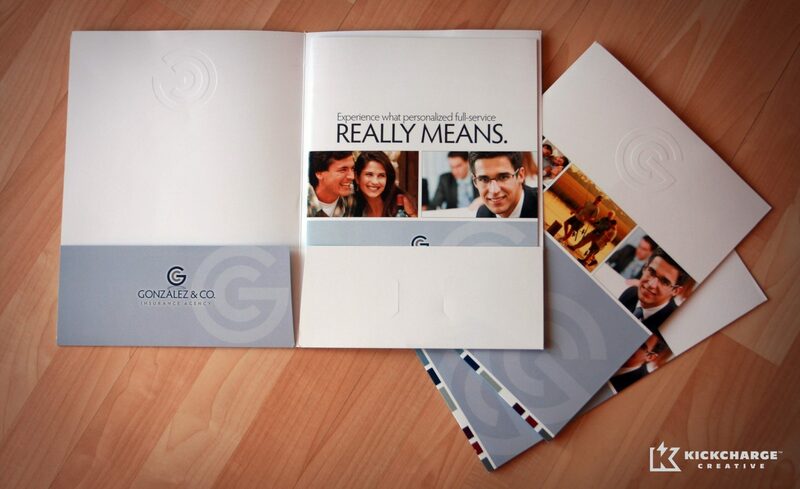 Working with owner Chris Gonzalez, our copywriter also crafted wording for their website and brochure. We love the synchronicity that’s implicit in the company’s marketing materials. 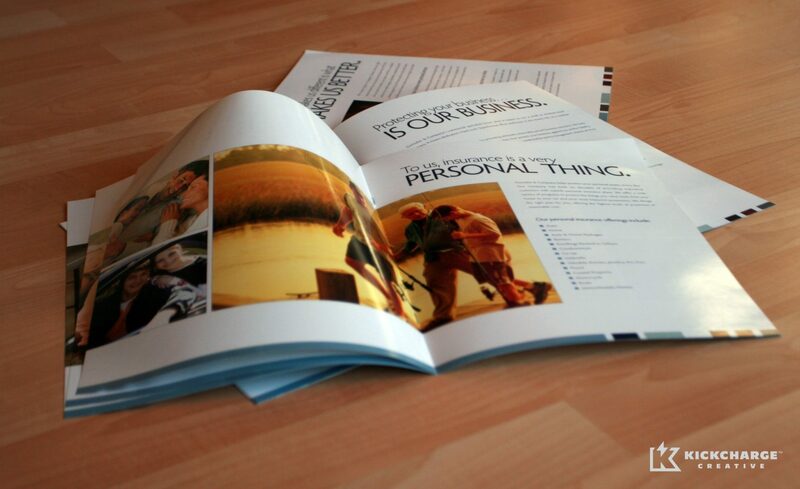 Its brochure is easy to read, airy and not overwhelmed with too much copy. We’ve given the team at Gonzalez better tools to use, allowing them to more confidently market their services. “KickCharge Creative was a true pleasure to work with, from conception to completion of our web site. Their staff was overwhelmingly professional, often times responding to us faster than we could gather our heads together to reply,” said Chris. Days after the new brand hit the market, Chris and his team began receiving applause from clients and prospects alike. Even better, Gonzalez is now growing ahead of its local peers, reports Chris. “In our industry we’re still ahead of the competition in terms of a brand image that the public sees,” he said.